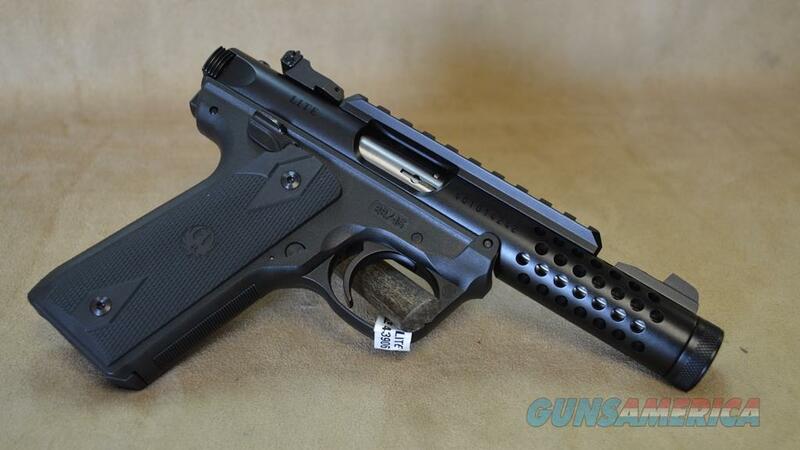 Description: Ruger MKIV 22/45 Lite semi-auto pistol in 22 LR Caliber. Factory New in Box. Black Anodized Finish. 2 - 10 round magazines included. 4.4" barrel. Threaded barrel makes this is an easy transition to shoot with a suppressor (and ask Katie personally, it's her favorite when paired with the Ruger SilentSR can). Receiver is made of aerospace-grade aluminum and is ventilated, making the pistol extremely light. Accurate sighting system features an adjustable rear sight and a factory-installed Picatinny rail for easy mounting of optics. Quick takedown makes the new Ruger MKIV pistols a breeze to clean/field strip. Magazine disconnect prevents discharge when the magazine has been removed.